The stunning Newcastle East Street Circuit will play host to the final round of the 2018 Dunlop Super2 Series, one that Brenton Grove heads into feeling confident. 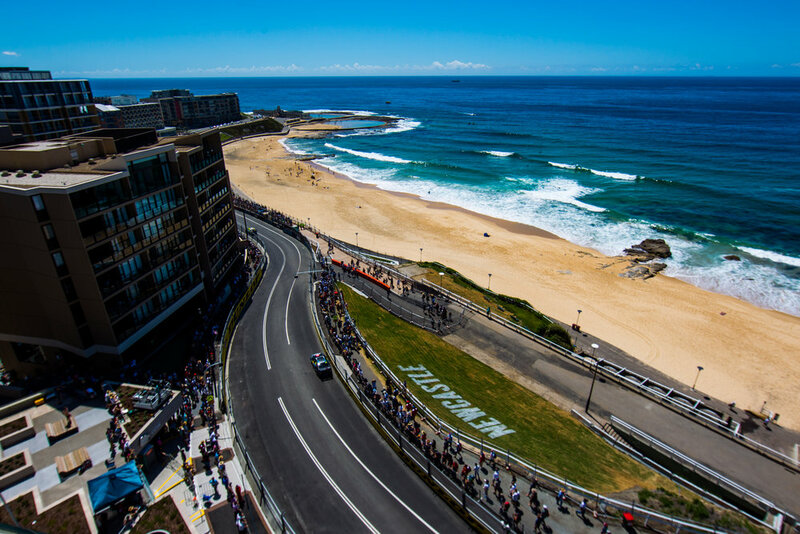 Located on the New South Wales Central Coast, the harbour city will see the second running of the Coates Hire Newcastle 500, which Super2 supports, with the circuit taking in Newcastle Beach as well as the foreshore around Nobbys Beach Reserve. The 14 turn, 2.652km layout has several elevation changes, winding through the narrow roads and between buildings. Grove heads into the season finale after a knowledge-building debut campaign in the second tier Supercars category, with a breakthrough result arriving last time out at Bathurst. There, the 21-year old partnered Earl Bamber for the Bathurst 250 mini enduro; the pair driving their way to a top ten finish. With only a handful of laps left to run for the year, Grove says he is hoping to close on a positive note. “I’m quite excited to head up to Newcastle and learn another circuit,” said Grove. “It’s all mileage that will help me for next year, so I can’t wait to get there and turn the first laps. “The circuit is quite picturesque so it will be great to get there and have a look around. The weekend kicks off with the opening practice session on Friday morning at 10:45 AEDT, followed by Practice 2 at 14:20 AEDT, both 40-minutes in length. Saturday features Qualifying at 11:05 AEDT, which sets the grid for Race 1, a 20-lapper at 14:30 AEDT. Another Qualifying session takes place on Sunday morning at 10:50 AEDT, with the season-ending final race at 14:15 AEDT, also 20 laps. Both Qualifying sessions and each of the races will be broadcast Live on Fox Sports Channel 506.